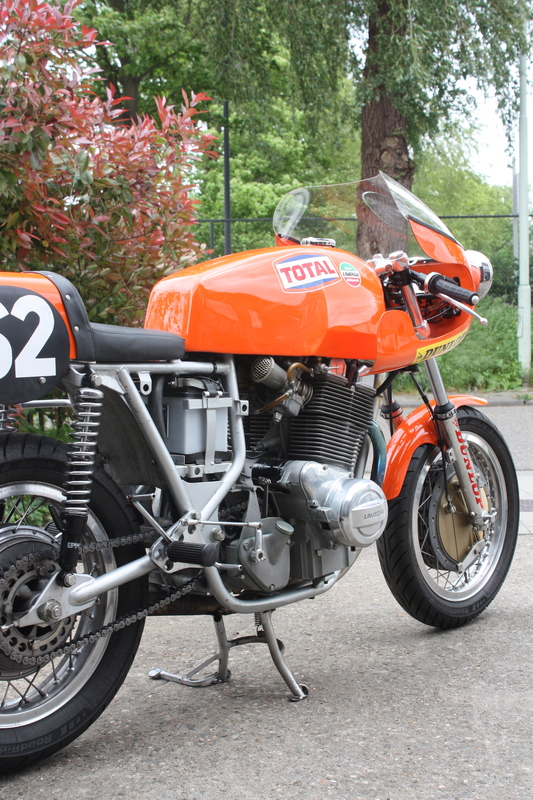 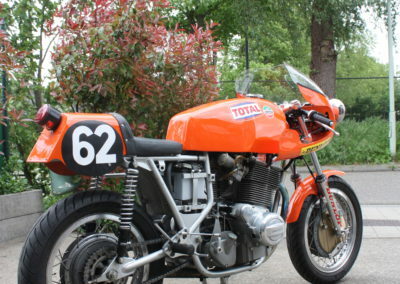 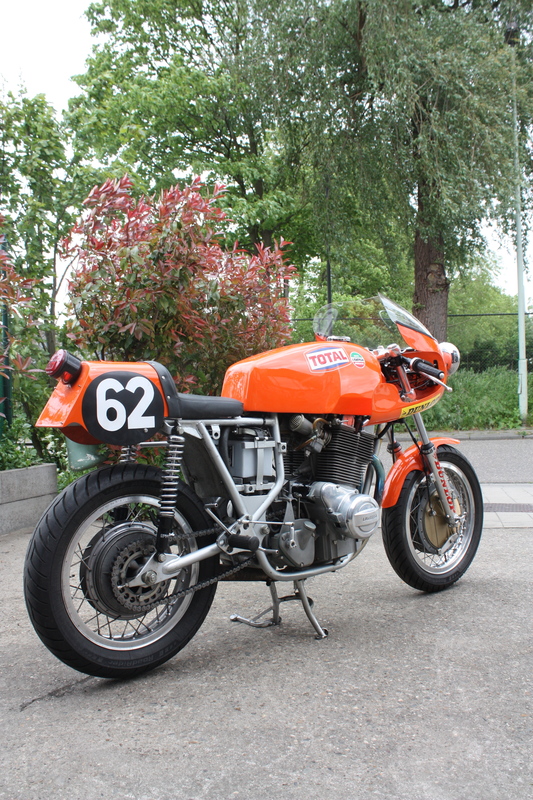 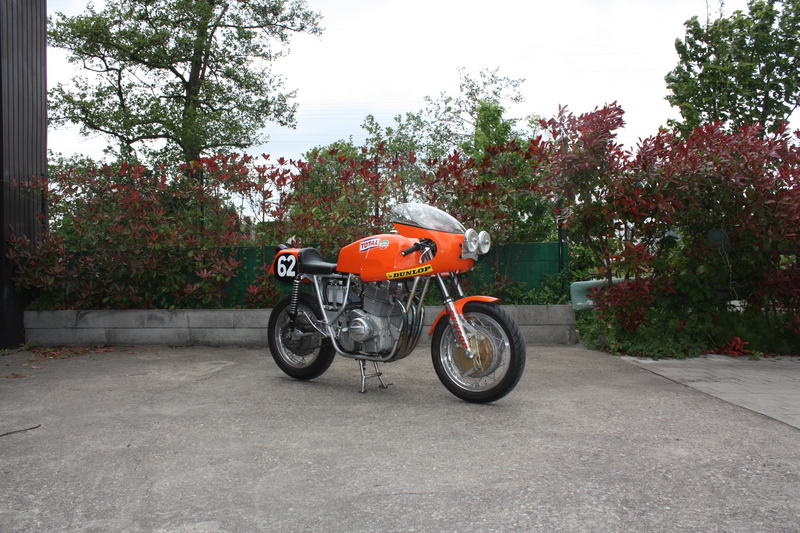 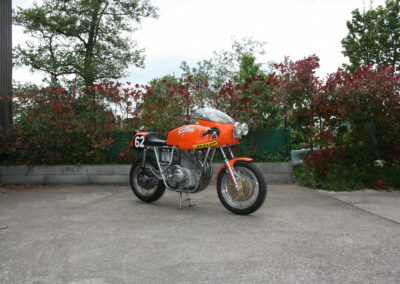 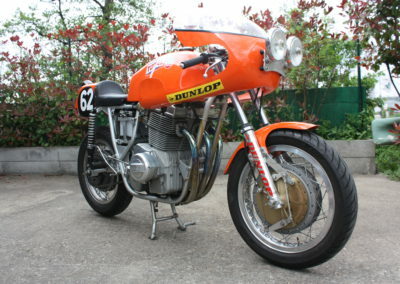 It is a copy of an endurance racer that raced in the 1972 Bol’Dor 24 hour race. Since completion it has done five laps of Mallory Park Circuit. 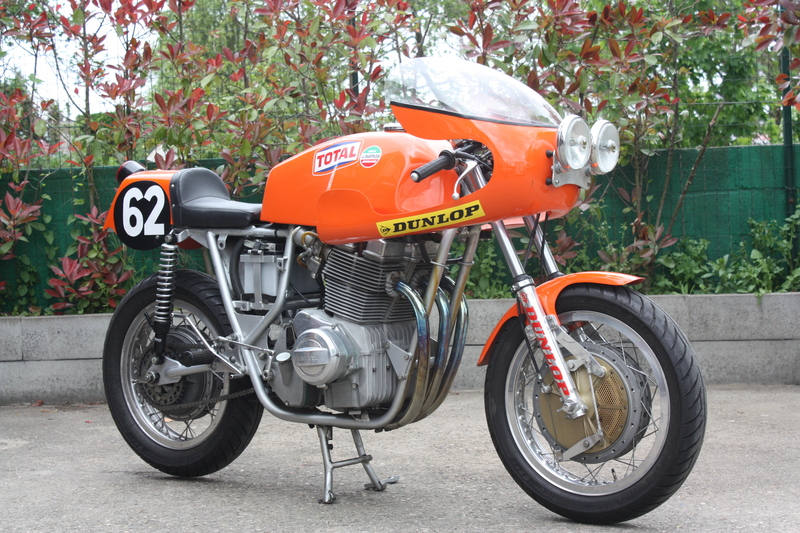 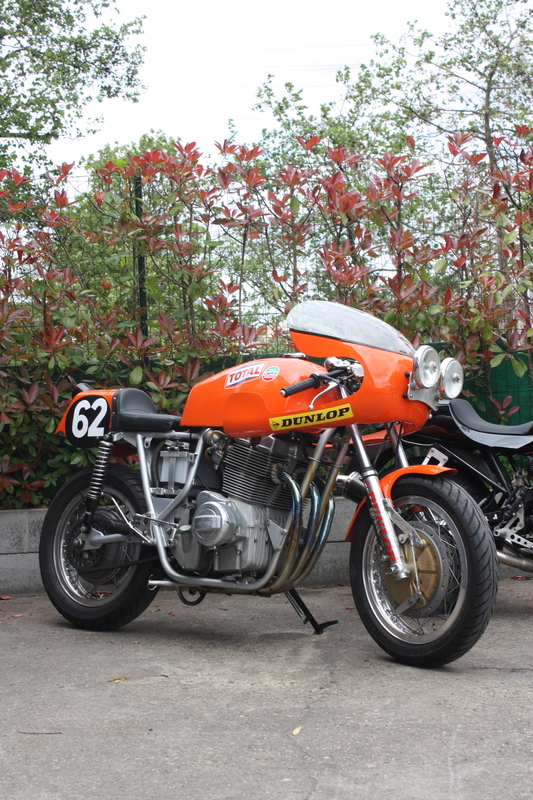 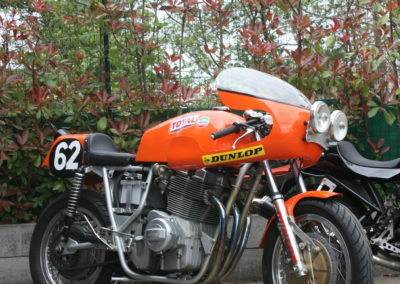 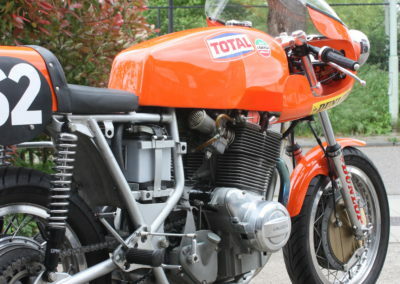 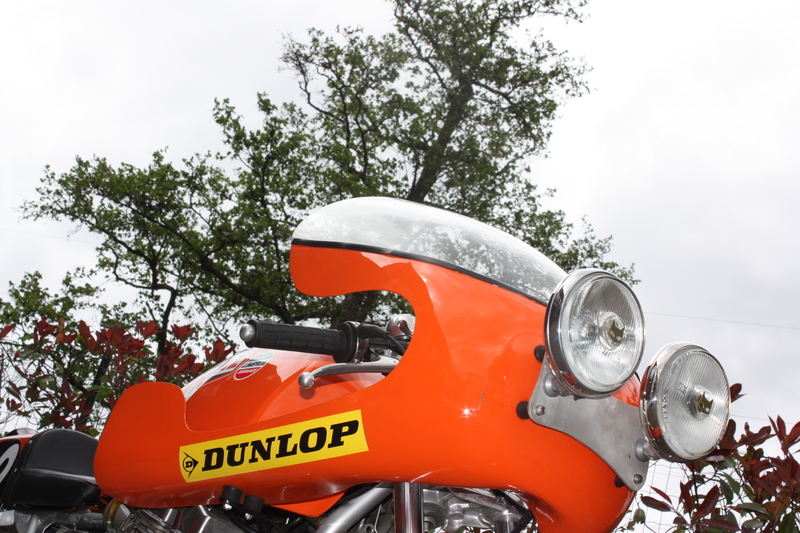 It was ridden by the original Laverda works tester, at the Festival of a Thousand Bikes, back in July 2009. 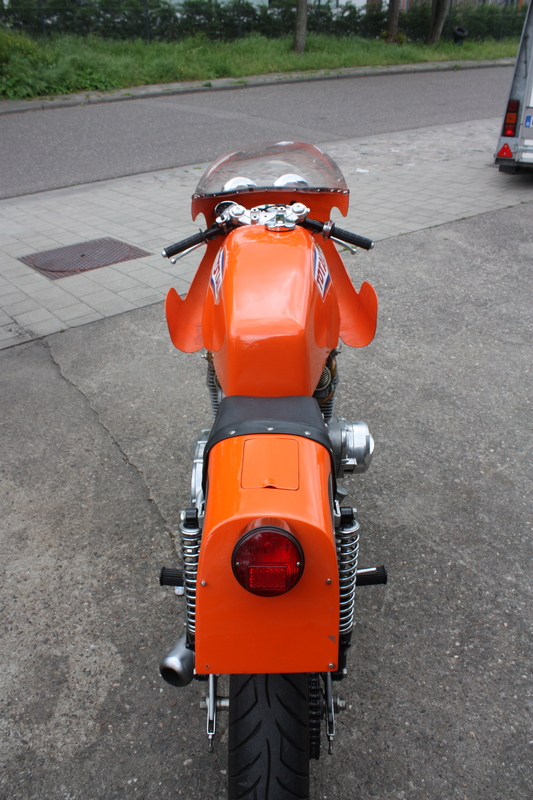 The tank was made by hand from a flat sheet of allumunium, after first making a full size wooden buck from laminating plywood together to get the initial shape. 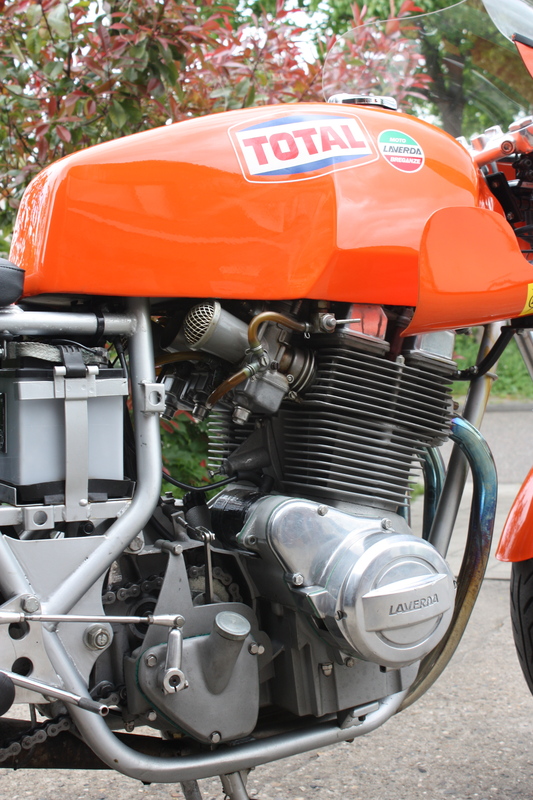 The bottom of the tank had to be made in such a way that it fitted neatly onto the frame, missing anything that got in the way. 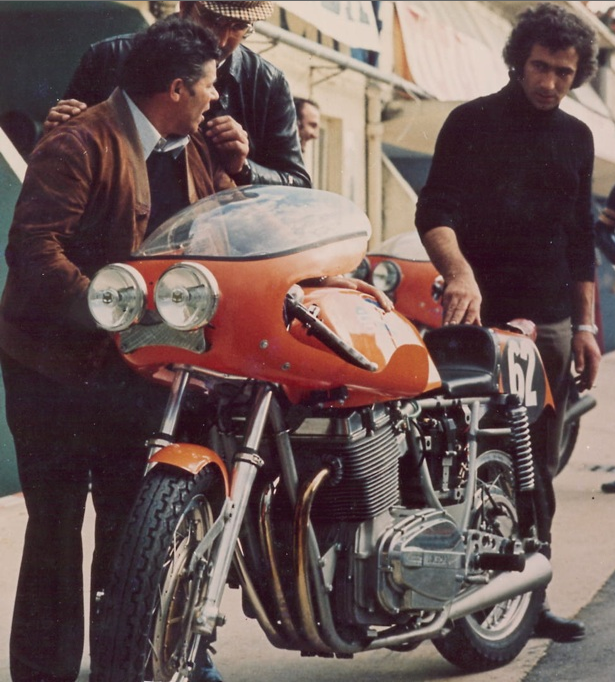 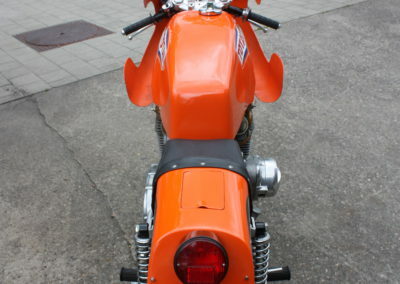 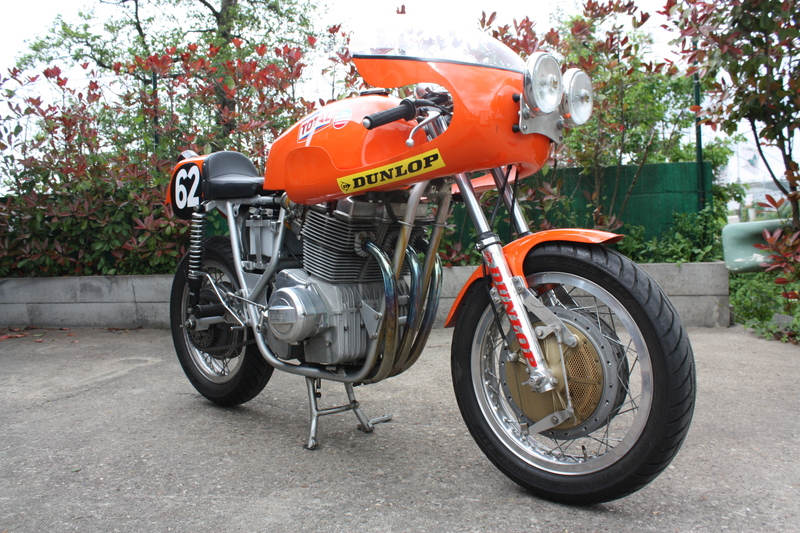 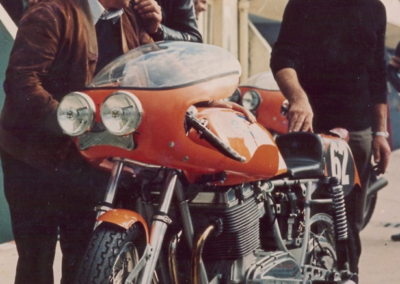 It was then sprayed Laverda Orange as was the rest of the bike. 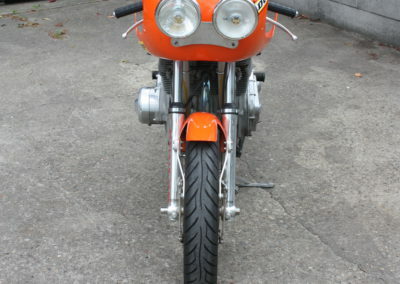 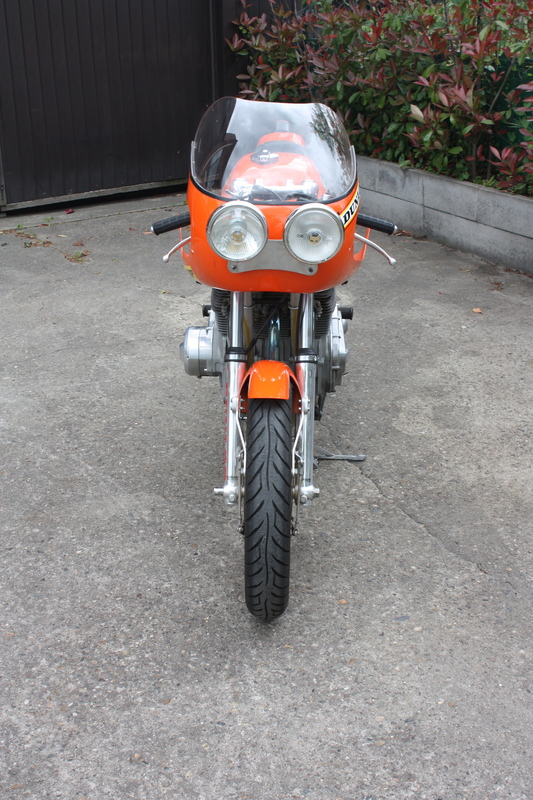 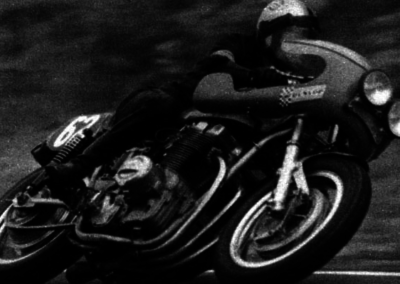 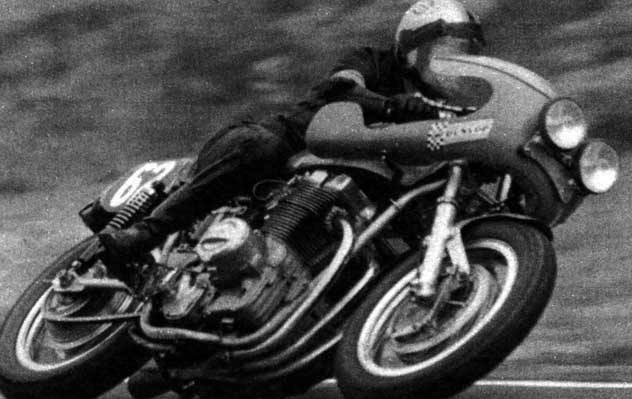 The Marchal headlights are a replica of the original bike. 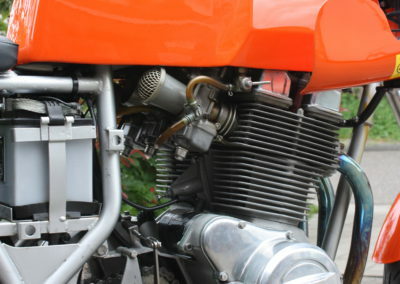 tilted back engine setting to aid ground clearance, as the original.